The OnePlus 3T India launch is imminent, as the ocmpany’s official Twitter and Facebook accounts have posted a teaser which hints at the same. The teaser was first spotted by our good friends at Androidpure, and reads “Guess who's coming to town?”. 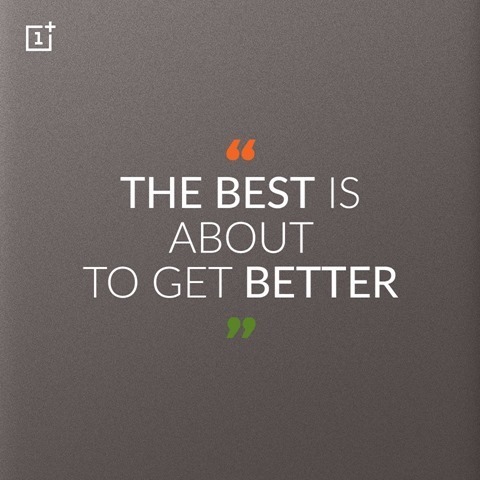 It was accompanied by an image which says “ The best is about to get better”. This is a clear indication, that the teaser is about the slight upgrade which the OnePlus 3T offers over the OnePlus 3. The latter is likely to be disconitued in India, just like it has been in the U.S and Europe. The OnePlus 3T was launched on November 15th, and goes on sale in the U.S today. The OnePlus 3T sports the exact similar design and dimensions of the OnePlus 3, with exceptions to its front camera, its processor, its battery and the storage. The OnePlus 3T comes with a 16 megapixel front camera, a Qualcomm Snapdragon 821 SoC, a 3,400 mAh battery and comes in 64GB and 128GB internal storage variants. The OnePlus 3T will come in two colours: Gunmetal and Soft Gold. The phone is likely to be priced at the same price as its US variant (at $40 over the OnePlus3’s $400 or Rs. 27,999), so we can expect the OnePlus 3T to be priced at about Rs.30,000 in India. There is no ETA about the OnePlus 3T India launch date as of now. We will update you with more information, when we hear something about it.